SmartPanel.io claims you can join and influence the next generation of your favorite websites, apps, and technology. But is Smart Panel a scam or is it safe to join? And how does it even work? This Smart Panel review will give you all the details so you will easily be able to see exactly what it offers and if it will be worth it for you or not. What is Smart Panel and what does the site offer? Smart Panel was founded in 2014 so it is a fairly new panel compared to many other panels. It is owned by Verto Analytics. With more and more people using online media, it was created to get a fuller picture of how we all use the internet to use this info to help improve services and products. As a member, you have a few ways to participate and earn. This first option is the main way to use Smart Panel. And it is an option that is required if you want to be a member. You have to download and install the Smart App on your device. You can use more devices if you want to and you can do it on Desktop/laptop, tablet, or mobile. You have to connect minimum one device to earn with Smart Panel. When you have the software installed, you will anonymously share data about your internet usage. All data collected is encrypted, secured, and protected. Your data will be combined with the data of all the other members and will then be used for apps, websites, and tech companies to discover how people use their internet devices and to shape the way technology changes in the future. The great thing about this option is that you actually do not have to do anything after installing it. You just have to make sure it is connected and sending data. As a way to get more information about how we use the internet, Smart Panel sometimes send out surveys as well. You will earn extra rewards for participating in these. It will not be a big amount of surveys you will get, but only once in a while. But if you are a member, it can be worth taking the surveys you get to earn a bit extra. But if you prefer sites that give you access to paid surveys every day, then you should join other sites instead. As long as you have at least one device connected to Smart Panel, you will participate in the monthly cash prize draw. There will be a draw that selects random winners. According to the official rules on the website, there will be three winners of $100 each month, which is a pretty nice prize, in my opinion. However, I also saw a video where they announced the winners and here it looks like they are also at times giving out even higher rewards even though this is not mentioned in the official rules on their website. If you get accepted as a panel member of Smart Panel, you will get $5 right away after downloading the software. But they also have a loyalty bonus, where you will get a bonus the longer you are a member. After having been a member for 3 months, you will get a $5 bonus. After 6 months you will get $10 and you will get this bonus every 3 months after that. So a nice little extra bonus you get once in a while just for being a member. 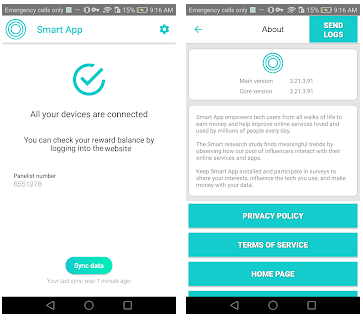 As a member of Smart Panel, you will earn by just having the app downloaded and connected. For every 30 days, you stay connected, you will earn $5. And you will also be able to earn extra rewards at times for additional surveys. You can then get these earnings out either through PayPal or as Amazon gift cards. Just be aware that you have to be a member for at least 30 days before you can cash out the first time. I think that is fair enough so people do not just join and cashout the joining bonus but never participate. But overall, some nice payout options and fair payout conditions Smart Panel offers. It is not the fastest site to earn on because you have to be a member for a while to get your cash out, but if you are patient enough to just let it run in the background it is a way to earn real rewards. In one sense, Smart Panel is a way to earn some passive income. But passive income has also become such a hyped term that you need to be aware of what exactly this means in each case. In this case, it means you do not necessarily have to do much. But that also means you will not earn much. 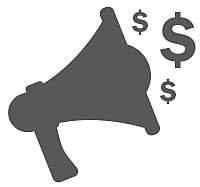 You will earn $5 per month + the loyalty bonuses. And if you are lucky maybe you will win a prize at some point. So if you calculate the monthly earnings + the loyalty bonus, it means you will be able to earn around $100 per year. You would then maybe once in a while also be able to earn a bit extra by taking surveys. So overall, it is not life-changing income, but it can be a nice way to get a bit extra without much effort. But if you want to join sites where you can find more options you can actively participate in and earn rewards daily, then you should instead check out the best survey sites in your country here. Who can join Smart Panel? Membership of Smart Panel is quite restricted. From what I have been able to find out, it is first of all, only available if you live in the USA. Furthermore, you cannot just join. You have to take a short 5 minutes application survey. You have to apply to become a member and not everyone gets accepted. “All Smart Panelists are specifically chosen to represent and help us better understand how a larger section of internet users use technology”. So you might not be able to join. But if you cannot join, then you can instead check out the Nielsen Computer & Mobile Panel which is similar in many ways but where you can join without a special invitation. Also, you should not worry too much if there is one single panel you can not join, in general. Especially not if you live in the US where there are so many great alternatives. You can just check out this list with the best survey sites in the US and find many more options. So do not be upset even if you cannot join Smart Panel – There are many other great alternatives. How good support you get tells a lot about a company. From what I have seen when it comes to Smart Panel, it has a quite responsive support. If you, for example, look at their Facebook page, they answer every single comment a user is leaving there. And if people are asking questions, they respond quickly. The support seems to be very responsive. Responsive support like this is a very good sign and underlines the legitimacy of the site and you know that you can expect help if you should need it as a member. 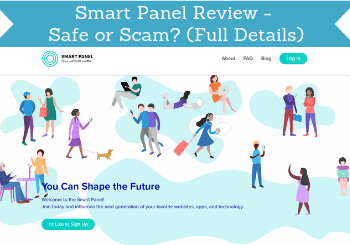 Overall, Smart Panel is NOT a scam but a legit and safe panel where you can anonymously share data to help with market research and earn a bit by doing this. But let’s finish this review by summing up the pros and cons to give you a better overview before deciding if it is for you or not. Smart Panel can be a nice panel to join if you do not mind sharing data about your internet usage anonymously. You will then be able to earn a bit extra by doing nothing else. You just have to be aware of the limited earning opportunities so only join it as an extra option and do not expect too much in terms of income. Also, be aware that you might not get accepted as a member. No matter what, I would suggest you to also check out the top paying survey and get-paid-to sites in your country. In addition to these, Smart Panel can be a nice extra panel to join if you get accepted. If you have any comments, questions, or have any experiences with Smart Panel yourself, I would love to hear from you in a comment below. Smart Panel is a legit panel where you can earn a bit extra cash if you do not mind sharing data about your internet usage anonymously. In addition to this, you can, at times, also earn by taking surveys. But overall it does not have big earning opportunities but it easy to use, if you get accepted as a member. To get enough earning opportunities, I would, however, suggest you to also join other survey sites as Smart Panel alone does not give you many options.